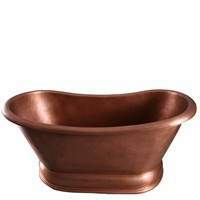 We carry a large selection of 5.5 foot freestanding tubs. You will find acrylic and solid surface bathtubs. 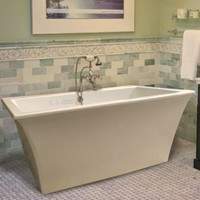 End drain tubs that give longer leg stretching area and double ended tubs that have the drain in the center and two sloping backrests so two can bath face-to-face. Modern freestanding baths and the traditional pedestal tubs with rolled rims. 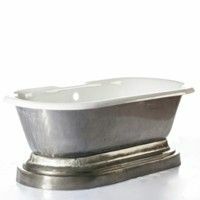 The slipper tubs are also more traditional in styling but you will find some with the modern vibes. 64" x 31" x 21"
64" x 34" x 25"
65" x 28" x 29"
65" x 29" x 29"
65" x 30" x 22"
65" x 31" x 23"
65" x 32" x 21"
65" x 32" x 23"
65" x 32" x 24"
65" x 34" x 21"
65" x 34" x 24"
66" x 28" x 23"
66" x 29" x 28"
66" x 29" x 33"
66" x 31" x 23"
66" x 35" x 24"
66" x 36" x 26"
66" x 38" x 27"